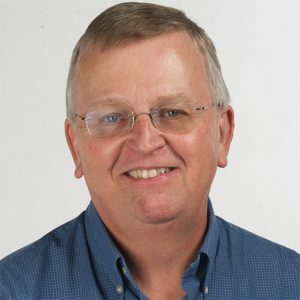 Ron Rodgers is a journalism historian and an associate professor who joined the faculty in fall 2005 after more than 20 years as a journalist at newspapers in five states and Japan and South Korea. His research focuses on the historical and contemporary agents of influence on media conduct and content. He is the author most recently of The Struggle for the Soul of Journalism: The Pulpit versus the Press, 1833-1923, from The University of Missouri Press. He has a bachelor’s degree in English literature from the University of Washington, a master’s degree in journalism from the University of Arizona, and a doctorate in communications from Ohio University. Rodgers, R.R. (May 2018) The Struggle for the Soul of Journalism: The Pulpit versus the Press, 1833-1923, Columbia, Missouri: The University of Missouri Press. Rodgers, R.R. (2011) The Social Gospel and the News. Journalism & Communication Monographs 13 (2), 69-134. Rodgers, R.R. (2007) The Problems of Journalism: An Annotated Bibliography of Press Criticism in Editor & Publisher, 1901-1923. Media History Monographs 9 (2), 1-40. Rodgers, R.R. (Publication in 2020) Progressive Era: The Social Awakening and the Soul of the News. Chapter 2 of Journalism’s Ethical Progression: A 20th-Century Journey, Lexington Books. This collection of essays will trace the historically contingent development of the journalist’s ethical self during the pre-internet 20th century. Rodgers, R.R. (2015) “A Strange Absence of News’: The Titanic, the Times, checkbook journalism, and the inquiry into the public’s right to know, Journalism History 41, (1), 31-38. Rodgers, R.R. (2013) “One of the most crying needs of the present time”: The call for a Christian daily newspaper. American Journalism 30 (3), 394-413. Rodgers, R.R. (2010) The press, pulpit and public opinion: The clergy’s conferral of power and the concomitant call for a journalism of advocacy in an age of reform. Journal of Media and Religion 9 (1), 1-18. Rodgers, R.R. (2010) The press and public relations through the lens of the periodicals, 1890-1930. Public Relations Review 36, 50-55. Rodgers, R.R. (2009, Winter) “Goodness isn’t news”: The Sheldon Edition and the national conversation defining journalism’s responsibility to society. Journalism History, 204-215. Rodgers, R.R. (2008, Summer/Fall) OhmyNews and its citizen journalists as avatars of a post-modern marketplace of ideas. Journal of Global Mass Communication, 1, (3/4), 271-292. Rodgers, R.R. (2008, Winter) Collier’s criticism of the newspaper press during the Norman Hapgood years, 1902-1913. American Journalism, 25 (4), 7-36. Rodgers, R.R. (2007) Journalism is dead, long live journalism: Exploring new ways of making meaning in the realm of the connected computer. Explorations in Media Ecology, 6 (2), 97-113. Rodgers, R.R. (2007) “Journalism is a loose-jointed thing”: A content analysis of Editor & Publisher’s discussion of journalistic conduct prior to the Canons of Journalism, 1901-1922. Journal of Mass Media Ethics, 22(1), 66-82. Rodgers, R.R. (2004). From a boon to a threat: Print media coverage of Project Chariot, 1958-1962. Journalism History, 30(1), 11–19. Rodgers, R.R., Hallock S., Gennaria, M., & Wei, F. (2004). Two papers in joint operating agreement publish meaningful editorial diversity. Newspaper Research Journal, 25(4), 104-109. Rodgers is the 2012 recipient of the University of Florida Research Foundation Professorship, a three-year professorship created to recognize faculty who have established a distinguished record of research. His newspaper experience working in Asia – where he saw up close the overt hand of propaganda and press censorship – and in five Western states – where he saw the more covert influences on news driven by commercialism – all inform and drive his research interests. Those interests revolve around journalism history, especially an exploration of the formation of journalistic normative standards derived from the many agents of influence on conduct and content – to include religion, social science, academia, ethicists, the new profession of public relations, and the professionalizing core of journalists and their self-reflexive criticism of their own profession. He is especially interested in the raucous, changing world of journalism becoming unhinged from partisan financial sustenance in the latter part of the nineteenth century and first two decades of the twentieth because journalism in the latter decade of the twentieth century and first decades of the twenty-first faces a similar upheaval involving issues of new technology and consolidation and questions about objectivity and journalistic ethics.